Holiday apartment located on the rolling hills of the Marche region, 4 km from San Costanzo and 13 km from the seaside resort Fano. Holiday apartment located on the rolling hills of the Marche region, 4 km from San Costanzo and 13 km from the seaside resort Fano. For shared use: large equipped grounds (3000 m2) with children's play area, barbecue. Private, equipped outdoor area with sea views. This is the ideal place for those who not only want to enjoy beautiful days by the sea, but also want to explore the green and fragrant surrounding countryside. Here you can spend days on the Adriatic beaches or visit the beautiful Frasassi Caves (63 km), the Furlo Gorge (40 km) or simply relax in the thermal baths of Riccione (57 km). The area is also famous for its amusement parks, a real fun not only for the younger guests. 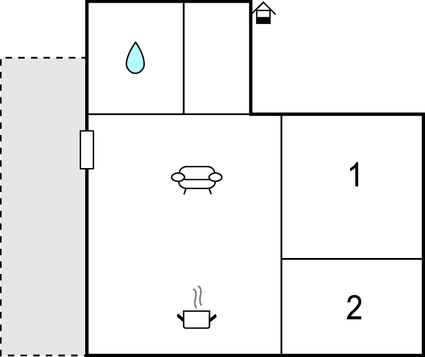 In the same property: IMK203 and the house owner. This solidly constructed apartment was originally built in 1986 and refurbished in 2002. The agent has rated it as a three star property so it is a well-kept apartment, equipped with standard furniture. It is also good value for money. 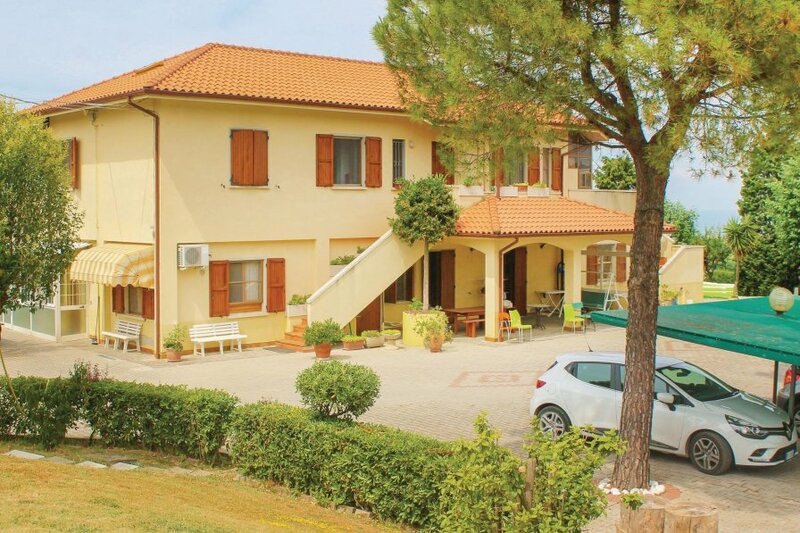 This apartment has sea view and is located in Fonte Casello, only 3km from San Costanzo. It is set in a good location, 6km away from a sandy beach. There's also a restaurant 2km away.